Hundreds of children will enjoy a week of camp at Camp Hollis before the summer is over. They are supervised by trained counselors and staff. There are still openings for 13- and 14-year-old girls the week of July 25 through 30, and 9- and 10-year-old girls and boys the week of Aug. 1 through 6. The childrenâ€™s camp is operated by the Oswego City-County Youth Bureau and located on the shore of Lake Ontario in the Town of Oswego. 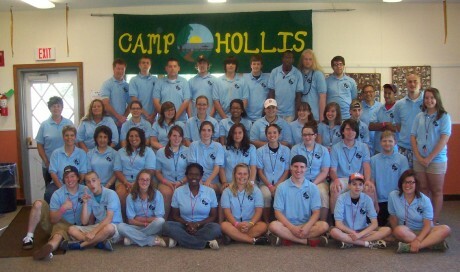 For information, call Camp Hollis at 349-3241 or 800-596-3200, ext. 3241.